There is only one real question to ask yourself. How good of a home inspection do you want? 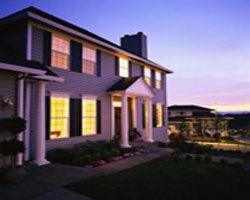 If you are looking for a quick (and cheap) home inspection, you won’t hire us. If you call and talk to us, we will be happy to help and answer all your questions (for free, and we are happy to help) and give you the names of several other Home Inspectors who serve the area where your new home is. They will probably charge you less and they will follow the bare minimum requirements required by the state. You might even be satisfied. But, please note: We will not be endorsing them or their services! We work on an entirely different level. We decided, when we began this company, that it would not be worth it if we didn’t enjoy and take pride in our work, if we didn’t do an exceptional job for each and every one of our clients. We decided that we will not work for any Realtor or bank or mortgage company or become beholding to any professional organization that did not demand excellence. We work for our clients and no one else. Now you are probably saying, this is all well and good and sounds like some real pretty advertising spin copy. Why should you believe us? Look at what our clients (and their lawyers!) have to say about us. We work to build long term relationships. If you are not completely satisfied with us, we have failed to do our job right. And we will make it right! We publicly list our owner’s home address, not an office or a P.O. box. Can you find an address on the other Home Inspector web sites? Our company is named after my Father, William James Decker Sr., an experienced and professional engineer who worked his way through Northwestern University’s School of Engineering by actually doing construction and engineering work during alternate semesters. He taught me to put my name on every job I do and let quality speak for itself. That is what our company does, every single day. We do not just breeze through an inspection, but take the time to examine everything, not just ‘a representative sample’. We do not do 45 min. to 11/2 hour, ‘drive by’ , inspections that are so common today. We take the time to cross check serial numbers, manufacturer and government defect and recall lists, public appraisal records, county tax descriptions and property history rather than just whipping up a quick, checklist report for presentation ‘on-site’. We write a complete report that is a complete narrative and actually describes the entire property condition (not just a repair ‘punch list’) that includes digital color pictures and descriptive diagrams. We include, free of charge, a pre-closing walk through inspection to verify that any agreed upon work is done and done correctly. Even if the seller refuses to correct any problems, will make sure that you are properly informed and satisfied. We are available to you, free of charge, after the inspection for any question you may have about your new home. This is important. We are always there for you, for as long as it takes. We don’t ‘fade away’ after your check clears. We work for YOU and no one else. You are our client and we are proud of your trust in us. We will NEVER do anything to betray that trust. We figure, it just ain’t worth doing unless it is done exceptionally and with a heart for service and pride. Why do anything any other way?